To the Victor belong the Spoils, and as the Ruler of the Fight Scene, all the spoils belong to Esh – Money, Fame, Power… Everything, except one woman who disappeared five years ago. 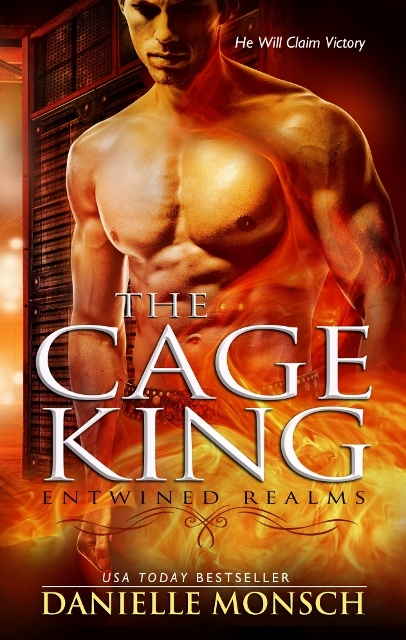 Now Nalah is back, a member of the Guild and in need of his help to get access to the greatest Cage Match in the New Realms. To Nalah, this is nothing but an assignment, Esh only a tool to be used to collect a magical artifact of great power, and she will not, will not, allow the fire that has always burned bright between them to reignite – no matter how much Esh tempts her. Five years ago Nalah left, and in that time she may have forgotten something, something Esh will remind her of – when The Cage King fights, he always wins.